Soccer at FYAA... Is it Right for You? 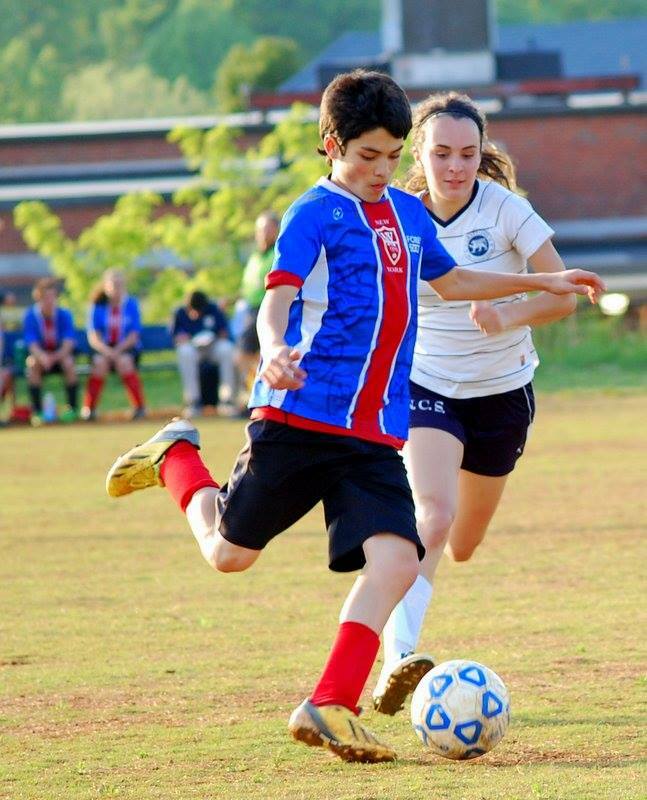 FYAA offers fun, competitive, and beneficial soccer. Soccer attracts families for its fun and sportsmanship. Soccer, "Football" to most of the planet, is the most popular team game in the world. It's played for recreation and enjoyment as well as school, city, and national pride. Though a contact sport, it is more forgiving and less injury prone than some activities. While being fast and nimble help, children of different sizes and abilities find a niche. The game doesn't favor really tall or heavy/strong players like some sports. Overall soccer is a great lifetime activity. Learning soccer at a young age gives children an activity they can play their whole life. Our program is ideal for young players who have minimal experience. It is a great for more serious middle school age players too. We have programs that give older players a chance to have fun and play the game too. IS IT FUN? 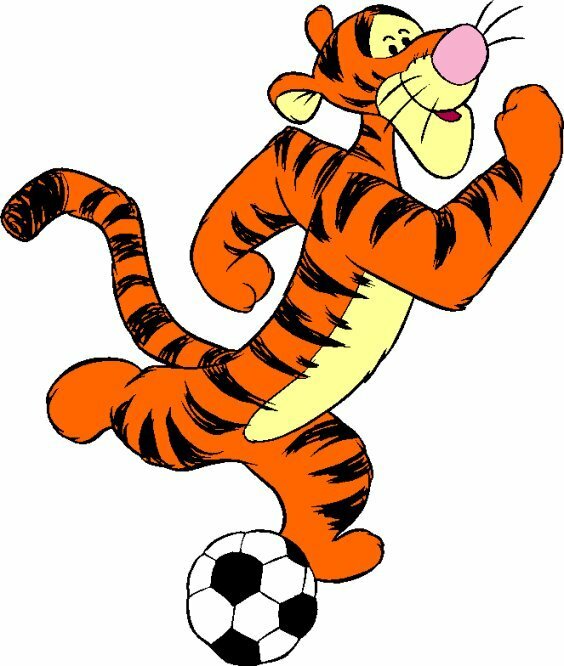 Yes, soccer is a lot of fun. The game is SIZED for fun. 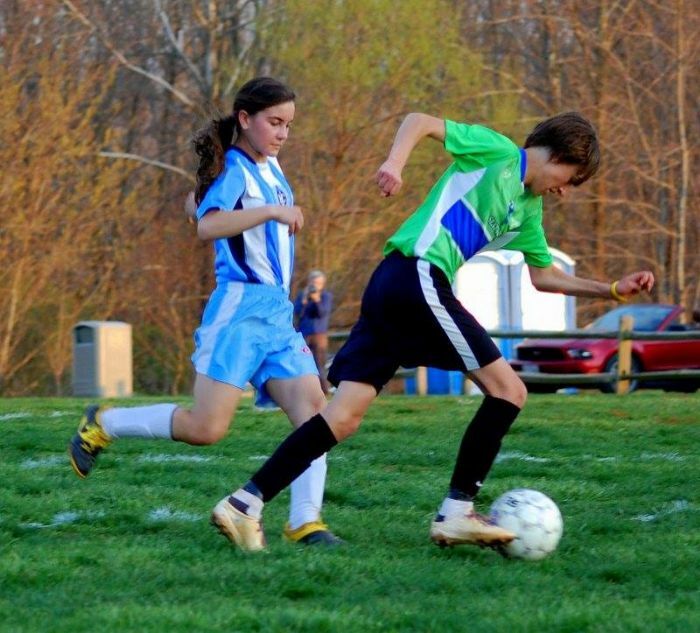 Soccer divisions play on fields and use team sizes suited for the age of players. 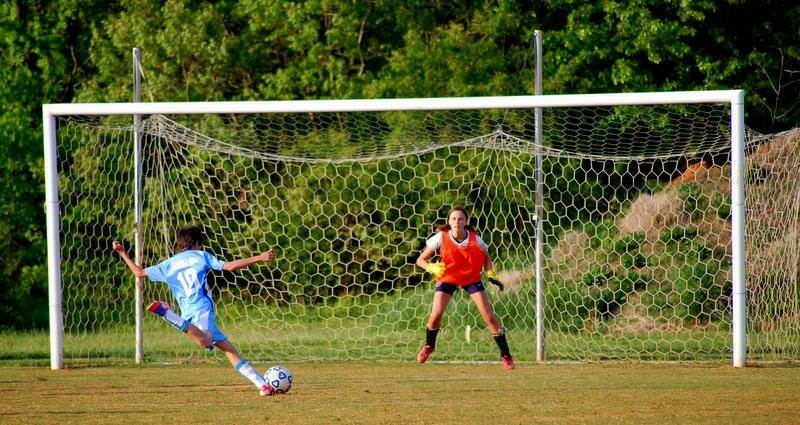 Younger soccer divisions play on small fields with small team sizes. This means more "time with the ball" for your child and less standing around. And they are perform on fields that make sense for their height. The game is fun on its own... but benefits if PARENTS make it fun. Parents sit very close to the field and the energy and excitement of the game benefit by supporting parents. If parents are too caught up in winning, than a fun Saturday morning can be squandered by overly aggressive parents. So this is a sport that YOU can make a difference. Parents support, cooperation and encouragement goes a long way to helping kids really enjoy the game and get the most out of being part of FYAA soccer. CAN I MAKE THE SCHOOL TEAM? Players that limit their play to just practices and games improve slower than those that have a ball at home and use it. The best advancements are made by those that play organize soccer and have fun with it with their friends on their own time. If your child really likes soccer and wants to play school ball, FYAA can help you get better. Also consider activities like summer camps... and encourage them to play play play on their own. CAN I HELP? Yes. We want make the league more fun and improve player skills. We need talented and capable adults to help run teams and the league. You are invited to share your passion for helping kids and make FYAA soccer the best program in the area.